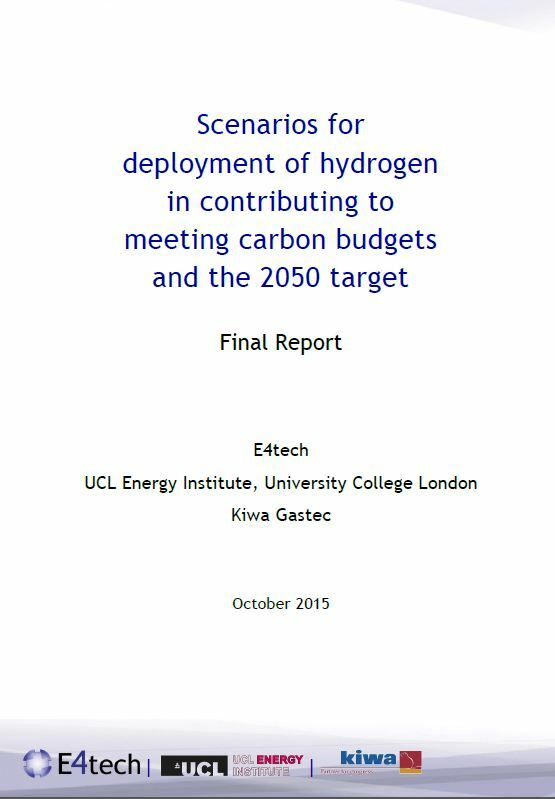 This research considers the potential role of hydrogen in meeting the UK’s carbon budgets. It was written by consultancy E4tech. The CCC develops scenarios for the UK’s future energy system to assess routes to decarbonisation and to advise UK Government on policy options. Uncertainty to 2050 is considerable, and so different scenarios are needed to assess different trajectories, targets and technology combinations. Some of these scenarios assess specific technologies or fuels which have the potential to make a significant contribution to future decarbonisation. Hydrogen is one such fuel. It has been included in limited quantities in some CCC scenarios, but not extensively examined, in part due to perceived or anticipated higher costs than some other options. But as hydrogen technology is developed and deployed, the cost projections and other performance indicators have become more favourable.